Mrs. Pakistan 2016 Muskan Jay looking gorgeous! Muskan Jay, the current Mrs. Pakistan World 2016 is doing great in Pakistan in her career of singing. 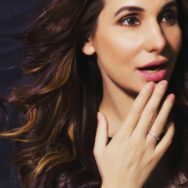 This beauty queen who has appeared on various talk shows in Pakistan and has shared the stage with veteran singers like Atif Aslam is not slowing down. With a more toned up body this mother of one is focused on her career these days and is seen in her new Avatar in this gorgeous shoot done in Karachi, Pakistan.